We really cannot wait to see what you’ve got in store for us. Just make sure you don’t miss out on competing! 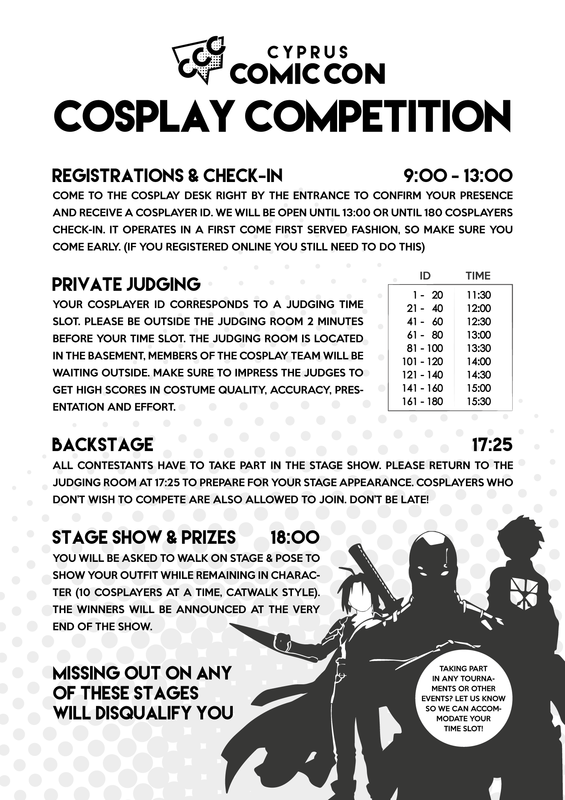 This schedule will be printed and available as a handout from the cosplay desk. For further inquiries, do not hesitate to ask the cosplay tream.